Prevalence Of ‘Diarrheagenic Bacteria’ In Fast Foods Marketed Within The Federal Capital Territory, Abuja Nigeria. Lahor Research Center Benin, Edo State. National Vetrinary Research Institute Vom Jos. Population Council Headquarters, Abuja . The prevalence of diarrheagenic bacteria in 180 fast food samples (confectioneries, dairy products and packaged meals), collected from six area councils of the Federal Capital territory Abuja, was ascertained using the microbiological methods and specifications for isolation of food- borne bacteria pathogen according to Lacey (2000). From the study, a prevalence of 18.89% (34) out of the 180 samples was established with the incidence involving four different types of diarrheagenic bacteria. The incidence of 11.69% (21) was for Escherichia coli species and 6.11% (7) was Bacillus cereus while 2.22% (4) and 1.11% (2) were Shigella species and Vibrio cholera respectively. Out of the 34 (18.89%) isolates, Escherichia coli showed the highest incidence rate, and the highest incidence of diarrheagenic bacteria was isolated from confectioneries 7.80% (14), while the group of fast foods sampled from Kwali area council showed the highest rate of contamination, 11 (6.11%). Evidenced by the high overall prevalence of diarrheagenic bacteria as shown by the result of this study, there is clear indication that the hygienic and public health safety of the fast foods marketed within the Federal Capital Territory may have been compromised through poor environment, unhygienic method of preparation, poor storage and sales. Key Words: Prevalence, incidence, Confectioneries, Fast foods, diarrheagenic, packaged meals, dairy products. Diarrheagenic bacteria are those bacteria that have the inherent capacity to cause diarrhea in man. They usually do so, either by direct invasion of the human colon or through their toxin secreted in food or water (Cook, 1995). Some of these bacteria produce harmful toxins which may be classified as exotoxins and endotoxins depending on the nature and how they are released from the parent bacteria. While the exotoxins (enterotoxins) are produced by certain bacteria when still alive, the endotoxins are produced by some bacteria when they are killed (Nalin, 1998). Many out breaks of food borne gastrointestinal infections have been reported in many countries of the world including Nigeria (James and Burks, 1996). In Nigeria, the socio-economic situation and the teaming population of people have made the fast food industry, one of the most lucrative sub-sectors in our economy. It is to a large extent, readily affordable and due to its handy nature, most people; including the civil servants, students, businessmen and travelers take it routinely as their meals or in some cases as meal substitutes. These fast foods, which may be in fluid and solid forms, are usually prepared as take away meals and could be classified into three groups as: confectioneries, dairy products and packaged meals. Many reports of food borne disease outbreaks around the world (Farthing, et.al 1995, Colwell, et al, 1999), cast a lot of aspersion on the public health and hygienic safety of the fast food industry. Food borne disease is one of the important causes of diarrhea illness. It is difficult to reliably estimate the true incidence, as some of the episodes are self-limited, and are not often reported. The United States Center for Disease Control (CDC), in their proactive preventive nature, however maintains a surveillance program to track the occurrence of food borne-disease outbreak in the United States, a feat that is not obtainable in most developing countries of the world (CDC; MMWR, 2001). Diarrhea according to Looney, (2000), is the sudden clinical increase in the frequency and decrease in the consistency of stools lasting for more or less than four weeks. It affects most people during their live time and the occasional loose or watery stool is so common that only few individuals seek medical advice unless the diarrhea is persistent. Diarrhea is reported to result by Fordtran, (1998), when the remarkable efficiency of the gut for absorbing water, electrolytes and nutrients is impaired. It can be said to be acute or chronic depending on how long it lasts from onset. Abuja the Federal Capital Territory of Nigeria, is made up of six area councils namely; Abuja municipal area council, Bwari, Kuje, Gwagwalada, Kwali and Abaji. Consequent upon obtaining an ethical verbal approval from the Director of establishments’ inspectorate department of NAFDAC, packaged meal, confectioneries and dairy product samples were randomly collected from various fast food centers in each of the area councils and processed for the presence of diarrheagenic bacteria. Thirty samples of these groups of fast foods were collected in each of the area councils i.e. ten samples of each of the three different groups of fast foods were randomly collected making an overall total of one hundred and eighty food samples. These samples on the different days they were collected, were transported down to the Laboratory and stored in the refrigerator at 2-8 degrees Celsius for 24hrs before processing. After the overnight incubation of the broth cultures containing the food materials, Bacteria colony count using the modified Miles and Misra standard method (Cruickshank, 1969), was used. It involved using a standard wire loop of 5mm (0.002mls) size i.e. 1/500, to inoculate the serial dilutions of the duplicate broth cultures onto nutrient agar plates. Each of the plates were incubated at 37 degrees Celsius for 24hrs after which all the plates were brought out and the bacteria colony growths on each of the culture plates were counted, and any sample (plate) that had a colony count of 50 bacteria, was taken as a standard to represent a colony forming unit (CFU) of about 100,000 organisms/ml. Also by the same standard, bacteria counts of less than 50 organisms were regarded as harmless contaminants. These helped to establish which of the food materials collected that had significant bacterial contamination. The broth culture that showed evidence of contamination was separated and Gram stained to further establish the group of bacteria that were present. Following the Gram stain reaction, they were sub cultured onto MacConkey Agar and Deoxycholate Citrate Agar, while those ones that contained curved Gram negative rods suspected to be Vibro species were sub- cultured on TCBS Agar to enhance its isolation. After the overnight culture of the samples, using a standard method according to Cowan and Steel (1973), all the morphological characteristics were taken note of, and they were all Gram stained again after which the bacteria isolate were further differentiated and characterized using motility test, biochemical and enzymatic reactions to establish their oxidation and fermentation ability on common carbohydrate substrates. The result of this research work, showed an overall prevalence rate of 18.89% for diarrheagenic bacteria. 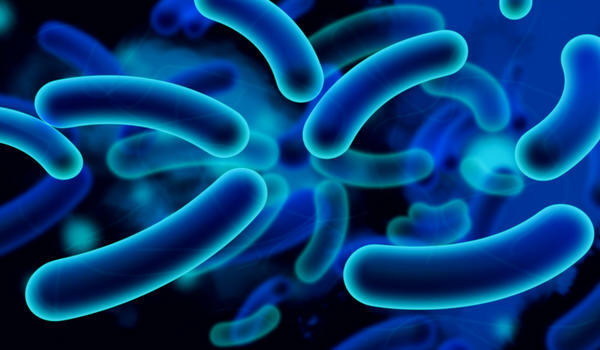 The incidence rates of: 11.67%, 3.89%, 2.22% and 1.11 respectively, were obtained for un- typed species of Escherichia coli, Bacillus cereus, Shigella species and Vibro cholera. Table 1. Distribution of diarrheagenic bacteria isolated in the study.